Steve Jobs funeral is being held today, two days after he passed away at age 56. The cause of his death is yet unknown, but Jobs has long battled a rare form of pancreatic cancer for which he underwent a liver transplant in 2009. According to a report from The Wall Street Journal a “small private gathering” is taking place at an undisclosed location, with no public memorial service planned. 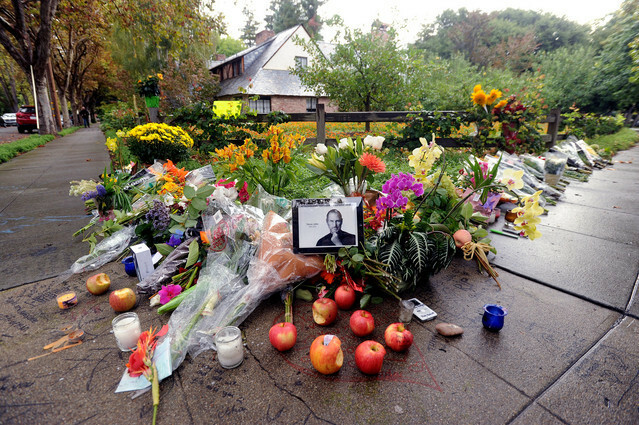 There is no public memorial planned for Mr. Jobs’s death, said an Apple spokesman. In a letter to Apple’s employees on Wednesday, Apple Chief Executive Tim Cook said that the company is “planning a celebration of Steve’s extraordinary life” for staff that will take place soon. 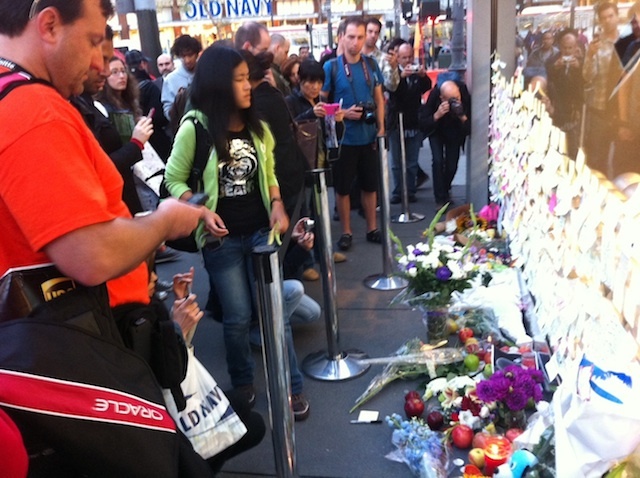 Personal tributes have been pouring in from fans around the world, with many small memorials and notes of condolences placed at Apple retail stores.